Archaeologists Uncover Wall Of 400-Year-Old Church | NewsTalk1230 WFVA | Talk...Done Right! 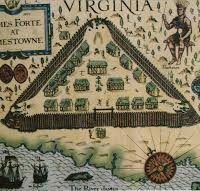 (Richmond)- Archaeologists are uncovering an old piece of Virginia’s history in Jamestown. Crews have just uncovered the western wall of a 400-year-old church after two years of digging. Jamestown Rediscovery Foundation’s archeology director says the church held the state’s first General Assembly in 1619. All four walls have now been discovered and they hope to eventually have it ready for public display.